A Spy shot of Suzuki GSX-R150 Classic Racing Edition recently surfaced online, showing the much-awaited motorcycle in a different shade than those available in Indonesia. The location of this spy shot is a production facility, hinting that it has already been produced to meet the surging demand in South Asian markets. 2018 Gaikindo Indonesia International Auto Show will serve as an official debut platform for this special edition. The Classic Racing Edition celebrates the anniversary of this lightweight racer in Indonesia. Indian fans are eagerly waiting for its arrival, comparing the same with none other than mighty Yamaha R15 Version 3.0. The livery of Classic Racing Edition features white as the base shade and blue alloy wheels for a worthy visual upgrade. Suzuki uses the same 149cc, single cylinder, liquid cooled and fuel injected engine, producing 19.17 HP at 10,500 rpm and 14 NM at 9000 rpm on this special edition. When compared with a wet weight of just 131kg, a rider can extract class-leading agility and performance from GSX-R150. The faired motorcycle is aerodynamically efficient, carries a 6-speed gearbox. 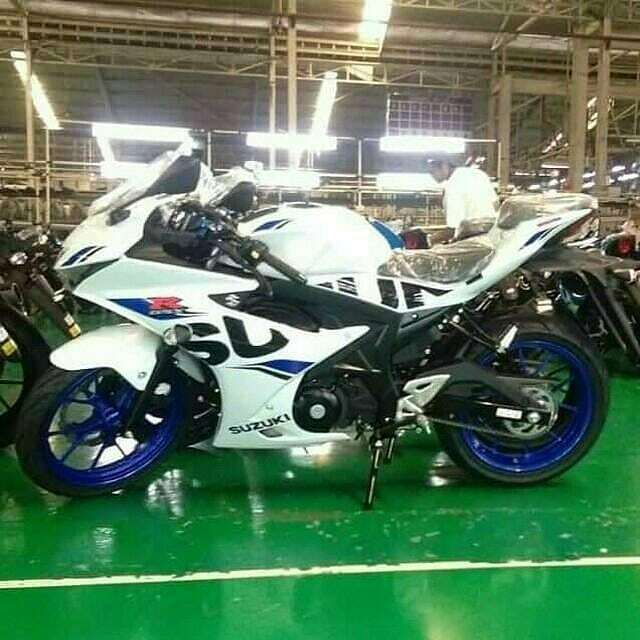 Suzuki GSX-R150 measures 2020mm, 700mm and 1075mm in length, width and height respectively. In comparison to Yamaha R15, the Suzuki motorcycle is 6kg lighter. On the power front, the former produce 19.3 HP at 10,000 rpm and 15 NM at 8500 rpm. Both bikes offer LED headlight and tail light, dual disc brakes and aggressive seating position with clip-on handlebars. Suzuki has currently placed Gixxer SF as an indirect rival to Yamaha R15, retailing for a much lower price tag and offering fuel injection, single-channel ABS and dual disc brakes on the top spec model. 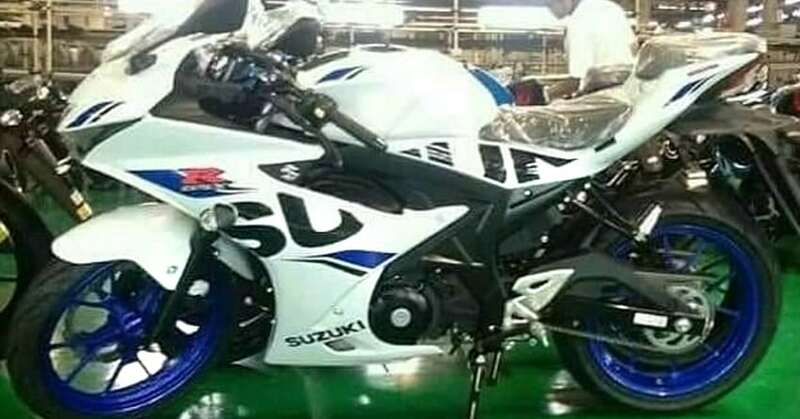 In reality, the faired Gixxer is a Fazer rival and, Suzuki GSX-R150 could be an instant hit for its performance and lightweight frame. Yamaha R15 scored more than 7500 units last month.